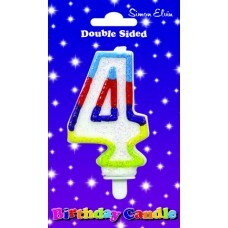 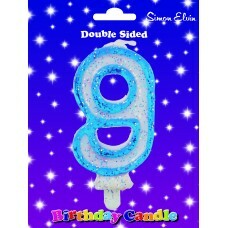 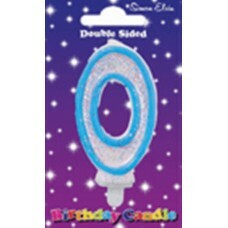 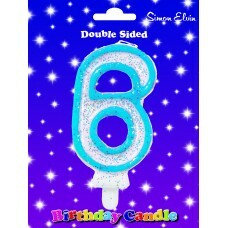 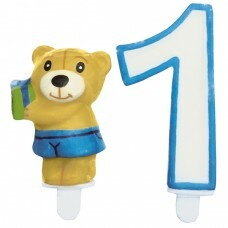 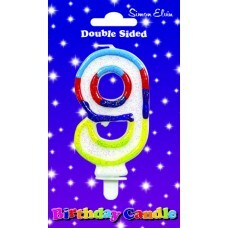 7cm hgh - with 2 pegs too hold up in cake..
White number glittery candle with a blue outline. 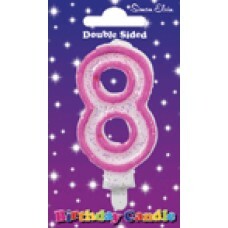 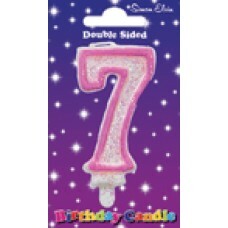 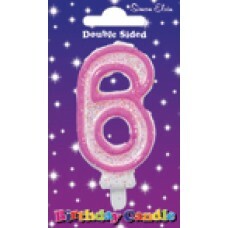 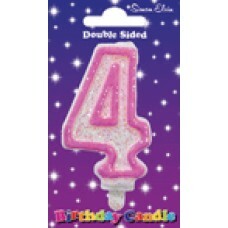 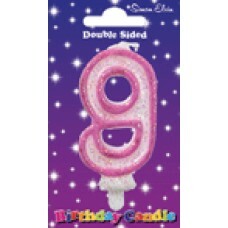 The candle measures 7.5cm High X 4.5cm Wide X 2cm ..
White number glittery candle with a pink outline. 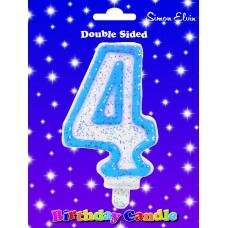 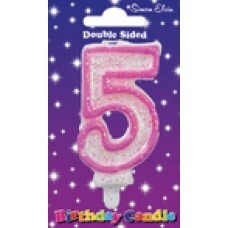 The candle measures 7.5cm High X 4.5cm Wide X 2cm ..